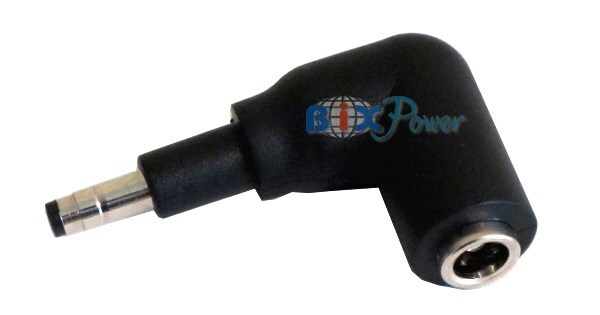 This connector tip one end is 4.00 x 1.70mm male long plug , another end is 5.5 x 2.5mm female jack. 4.00 x 1.70mm male connector is a round shape connector with 4.0mm outside diameter and 1.7mm inside diameter. This connector works for HP /compaq Envy Spectre 14 series and some other computers. We are sorry that we do not have full compatibility list for this connector. * 5.5/2.5 mm connector (Outside Diameter 5.5mm, Inside Diameter 2.5mm) is one of the most popular DC connectors. 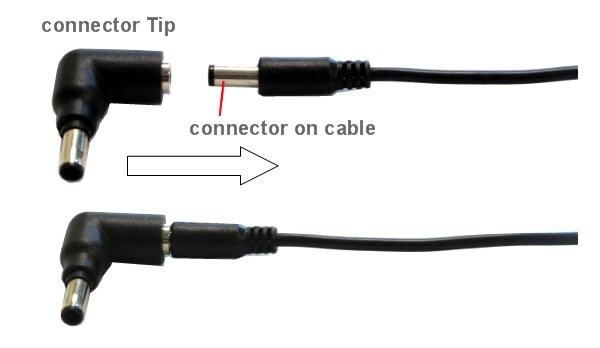 This picture shows how to use the connector tip. The connector on picture may be different from actual connector.